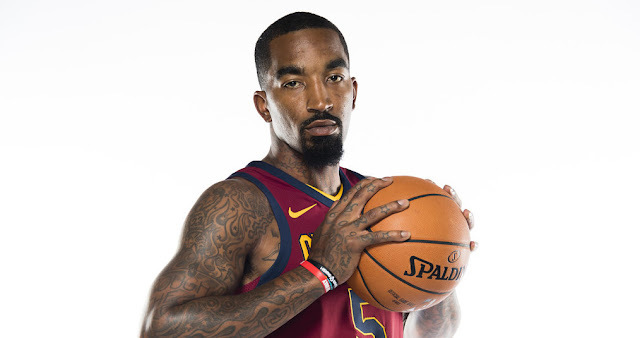 JR Smith is not here for Adam Silver’s shenanigans on anthem protest. The NBA commissioner sent out a memo to teams on Friday saying that he expected players and coaches to stand for the national anthem before games, which is actually a league rule. 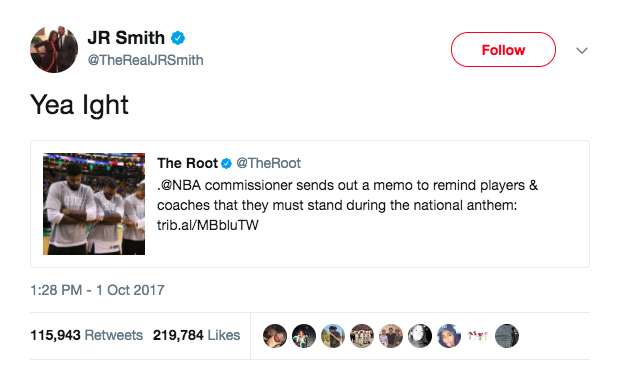 The memo also suggested NBA teams promote videos expressing themes of unity before their first home games, seeing as the league co-signed players speaking out about social injustice and civil rights. Smith, the Cavs mercurial guard, heard about Silver’s comments, and let's just say he wasn’t in agreement.